Master of philosophy degrees follow on after a master degree. In some rare cases you can be accepted to a master of philosophy degree degree if you do not have a master degree but if you instead have extensive work experience in a related area and are an expert in your field. It is most common to enter a master of philosophy degree after a master degree. In the usage of the United Kingdom, United States, Australia, New Zealand, Hong Kong and some other countries, the Master of Philosophy (M.Phil.) is a research degree, requiring the completion of a thesis. It is a lesser degree than the Doctor of Philosophy (PhD), and in some instances may be awarded as a substitute for a PhD thesis which is a marginal fail. It may also serve as a provisional enrollment for the PhD. It is generally thesis only, and is regarded as a senior or second masters degree. The M.Phil. is considered more difficult and prestigious than other master degrees, as it requires both a lengthy thesis as well as more examinations. In the UK, the M.Phil. is increasingly becoming used as it is in the United States – a degree offered but rarely taken, by Ph.D./D.Phil. candidates who have yet to complete their dissertation. Officially, however, many students in the UK do not initially study for a PhD/D.Phil: they study for an M.Phil, and the decision to continue from M.Phil. to D.Phil./Ph.D. is taken at the end of year 2 by the student and supervisors. Even when the student and supervisor agree that a student should study for a PhD after the Bachelors, some supervisors recommend that the student submits an MPhil thesis at the end of his first year of study, in order to gain experience in writing a larger thesis. Some people sometimes read for the M.Phil. instead of the Ph.D., though some may mistake it for a failed Ph.D. rather than recognise it as a passed degree. Some American universities award the M.Phil: at those universities, the degree is awarded to Ph.D. candidates when they complete their required coursework but before they defend their doctoral dissertations. This status is also called A.B.D., or All But Dissertation (or All But Done). Many Ph.D. candidates at these universities view the M.Phil. as a formality and elect not to receive it in order to avoid the paperwork and costs involved. However some programs do not offer an en route M.A. or M.S., so the M.Phil. is the first opportunity to receive a degree between the Bachelor’s and Ph.D.
M.Phil degrees are research degrees, though they may occassionally be offered as taught degrees by some universities. Master of philosophy degrees take from one to two years depending on the country and university where you study. Note: scholarships do not usually cover part time study if it is available. Generally, you will need to have completed a master degree with good grades to be eligible. You may need to prove you can speak the language of instruction (usually English language for international programs), and be able to get funding/scholarships to pay for your studies, accommodation, food and other costs. You must be able to get a passport and visa if the study is in another country. To get the visa you will need to prove you have adequate funding for university and living fees. For Myanmar students, you can generally get accepted with a master degree. Otherwise, a bachelor degree plus extensive related professional experience may be considered. One way to make your application more attractive to universities and for scholarships is to have a work history related to your subject of research. For example, if you want to study education, you could increase your chances of acceptance to university and getting a scholarship by working as a teacher. This would make you more experienced and knowledgeable and seem more certain that this is the subject that you are really interested to study. Master of philosophy degrees are more expensive than bachelor degrees. Also one should consider the costs of research and travel if it is part of the degree as it will be in addition to tuition fees. Universities in Asia are much less expensive than in the West and represent great value since a large part of your master degree will be based on your research. 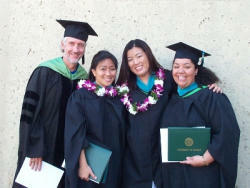 Because of the higher costs of master degrees, admission and scholarships are more competitive. In the West, costs are higher as well which means you are less likely to get a full scholarship if you are granted one at all. After completion of a master of philosophy degree, most students join the workforce or continue studying; the next level of education is PhD. In fact, many M.Phil degrees are simply a step to obtaining a PhD and some universities (especially in the UK) admit students first to an M.Phil after a regular master degree, if you pass the M.Phil, you then continue on to a PhD.